Develop the study skills and organizational habits needed to effectively prepare for high school. To thrive in this environment, strong study habits are more important than ever. 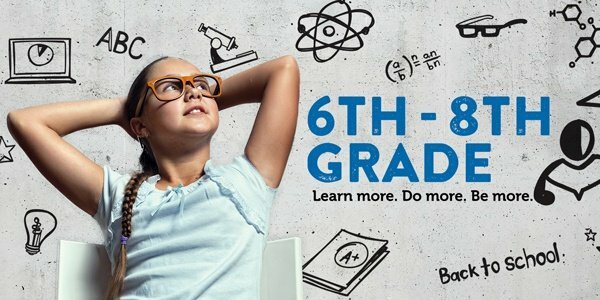 Goal setting, essay writing, research methods, note-taking techniques, and test-preparation strategies are most critical; it is for these reasons that we help students manage their day-to-day workload, prepare them for upcoming exams, and ensure that the positive changes in their approach to school are reflected on report cards. For students performing below grade-level or for those looking to get further ahead in reading, math, or writing, our academic programs are designed to boost confidence levels and understanding. We aim to solidify past concepts and then shift our attention to the introduction of new concepts that challenge even the most advanced individuals. These programs allow for students to take their knowledge to new heights and tackle the remainder of middle school with enthusiasm and self-assurance.